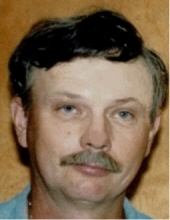 Carl M. Ziegler, 76, of Bloomville, passed away Sunday, January 27, 2019, at his home in Bloomville. Carl was born March 9, 1942, in Bloomville, to Ray A. and Mabel C. (Funk) Ziegler. Survivors include a sister, Martha Ziegler of Tiffin, and two brothers, Paul (Susie) Ziegler of Bloomville, George (Charlene) Ziegler of Piedmont, South Carolina, a sister-in-law, Royanna Ziegler of Monroeville, five nieces and nephews, Gary Ziegler of Bloomville, Mark (Shannon) Ziegler of Charlotte, North Carolina, Adam (Noelle) Ziegler of California, Cathy (Tim) Hill of Beaver Creek, Ohio, and Robin (Jeff) Potts of Fredericktown, Ohio, and several great- nieces and nephews. He was preceded in death by his parents, a brother, Frank Ziegler, and his sister’s lifelong companion, Charles E. Haman. Carl was a 1960 graduate of Bloom Twp. High School, a US Army Reserves veteran, and a member of the Bloomville Young Farmers. He was a lifelong sheep, hogs, and grain, farmer, on the family farm. Memorial services and burial will be announced at a later date by the Lindsey-Shook Funeral Home, 3085 S. SR. 19 Bloomville. Online condolences may be made to the family atwww.lindseyoldsfh.com. To send flowers or a remembrance gift to the family of Carl M. Ziegler, please visit our Tribute Store. "Email Address" would like to share the life celebration of Carl M. Ziegler. Click on the "link" to go to share a favorite memory or leave a condolence message for the family.